Today, Skyven Technologies LLC, a Dallas-based renewable energy company specializing in fuel-less industrial heat, was awarded the $1 million grand prize in New York State’s 76West Clean Energy Competition. After two exciting rounds of on-stage pitching in front of an expert panel of judges, 15 semi-finalists were narrowed down to six awardees. With a grand prize of $1 million, second prize of $500,000, and four runner-up prizes of $250,000, Skyven claimed the top honor. Central to Skyven’s pitch is its Intelligent Mirror Array (IMA™), a technology which produces industrial heat without the need to burn fuel. It does this by sourcing heat directly from the sun and then raising the temperature as high as 400°F. Large amounts of industrial heat are required to manufacture common everyday items such as food and clothing. In addition to cost savings and emissions reductions, Skyven has the potential to leapfrog natural gas pipelines in the same way that cell phones have leapfrogged landlines. 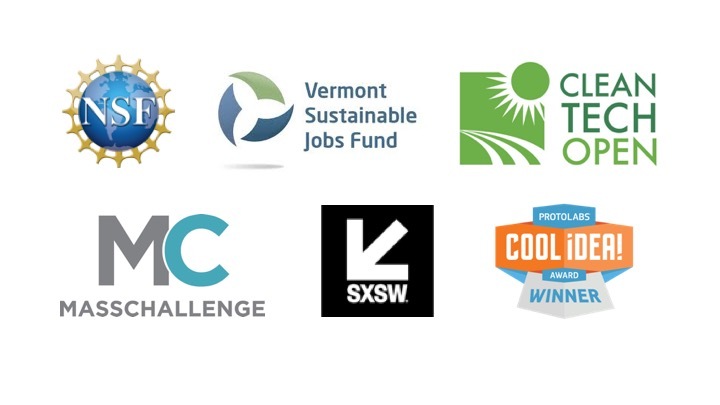 New York State’s 76West Clean Energy Competition is one of the largest competitions in the country that focuses on supporting clean-energy businesses. It is administered by the New York State Energy Research and Development Authority (NYSERDA). Skyven’s plan is to bring economic growth to New York’s Southern Tier through manufacturing and research and development. The plan also includes the deployment of IMA™ technology to bring a low-cost, high temperature heat source to areas of the Southern Tier outside of pipeline coverage, breaking down a key barrier to economic development. Other awardees include three New York companies and a company from Pennsylvania and one from California: SunTegra with a solar roofing product, Biological Energy with a solution to reduce energy use in wastewater treatment, SolarKal with a solar brokerage service, EthosGen with a solution to turn waste heat into electric power, and Visolis which produces high-value chemicals from biomass. Skyven's CEO and Founder Dr. Arun Gupta at the 76West Finals. Photo credit Allison Usavage.